Toxic blue-green algae (BGA) bloom is currently affecting Alexandra Lake, Ararat. 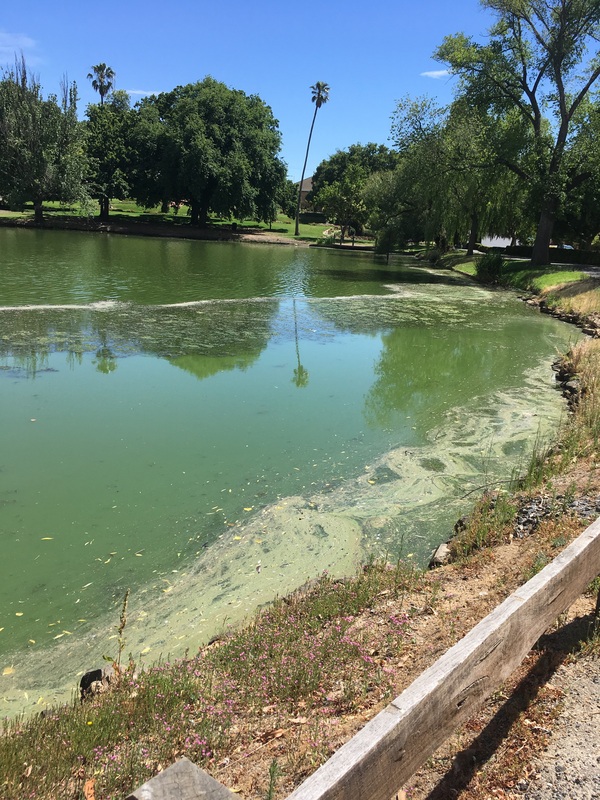 Blue-green algae has been detected in Alexandra Lake. The public is warned not to have any direct contact with the contaminated water. This includes the consumption of fish or other crustaceans collected from the lake. Direct contact with blue-green algae can cause skin rashes or itchiness; sore eyes ears and nose or if swallowed gastroenteritis, nausea or vomiting. The algae produces neurotoxins which can be fatal to dogs and other animals if ingested. Dogs can be attracted by the strong ‘earthy’ smell. Pet owners should also prevent pets from drinking or having direct contact with contaminated water. People who come in to contact with contaminated water should wash immediately in fresh water and seek medical advice if they fall ill as a result. Pet owners should seek vet advice if animals come into direct contact with the contaminated water. Water from the affected water body should not be used for drinking, cooking or other domestic uses. Boiling the affected water will not make it safe for use. Council appreciates the community’s patience in this matter. The situation will continue to be monitored with regular testing and the public will be advised when conditions change. For more information regarding Blue Green Algae in Alexandra Lake contact Ararat Rural City Council Health Department on (03) 5355 0262.